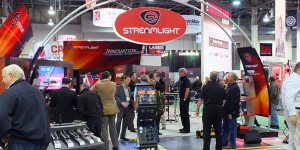 With SHOT Show right around the corner it’s almost time for us to see the introduction of the latest SureFire products. As we all know, these products don’t always make it onto store shelves but it’s always interesting to see what the future might hold. SureFire gave a small taste of what we can expect when they published a couple of photos via social media. These may give a little hint of what is in store, beginning with the HellFighter 5. They also provided a sneak peek at the 2014 catalog during its printing process. The catalog appears to show the EB1, EB2 and the full Fury line of lights including the new P3X. It also looks like the Peacekeeper is back again, but this time in more than one variety. It’s good to see the renewed emphasis on the rechargeable lights. Stay tuned for additional information as it becomes available!! 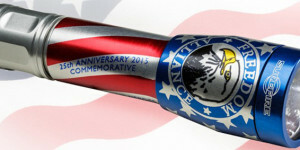 UPDATE: The SureFire P1R Peacekeeper review is now online! More “new” products make it to market! Tailcap alternatives (or a redesigned tailcap) for the UNR Commander and UBR Invictus. The 4-way tailcap is pretty slick but it severely limits how the light(s) can be carried. Better accessory support for the newer products. This has been pretty poor for several of the new products introduced over the past couple of years with limited, or no, availability of things like filters, holsters, or alternative tailcaps. Is it too much to wish for some lower prices? What about everyone else? What would you like to see in 2014? Leave your thoughts in the comments section below or head on over to CandlepowerForums and join the discussion there! 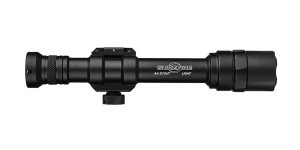 Edit 1/14/2014 – SureFire has released their 2014 product video featuring some of the same lights from last year’s video, such as the UDR Dominator and the P1R Peacekeeper, along with several new products. One of the more interesting items, for me at least, is the Variable Output Control (VOC) tailcap. It appears to be standard on the R2 Lawman but it is also mentioned at the end of the video as an accessory. Could this possibly be for use with the P series lights? Added 1/16/2014 – Nice video from SHOT Show demonstrating the P3X Fury Tactical, P1R Peacekeeper and the Annihilator. The Fury features a knurled body, a crenellated bezel and what looks like an anti-roll designed bezel. I really like the looks of this version, especially with the body knurling. 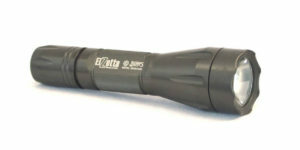 The concept of the P1R Peacekeeper was first introduced last year as a no-frills rechargeable tactical flashlight powered by an 18650 sized lithium-ion battery. Output has been increased to 800 lumens and hopefully this light is closer to becoming reality. The Annihilator has been around in concept form for a few years but this year it is shown with a completely different body design and the output rating increased to 5000 lumens. It remains to be seen whether or not it will actually see production but it appears that development is still active which could be a good sign. It appears to be extremely compact considering the insane amount of output it produces but the green beam (it is truly green) is a little strange. 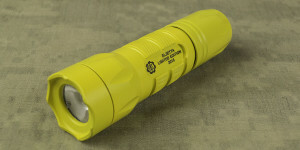 Posted in Flashlight News and tagged Surefire. Generally, 500-1000+ lumen lights are very difficult to use indoors. I don’t understand OTH a 140 lumen light with 6 levels. I want a flashlight that can run at least half a shift without changing batteries. My fantasy light is a M6LT with variable output (e.g. 50, 200, 500, 900/1,000) with a click-on tail cap. That would be a nice light! The newer SureFire rechargeable lights have performance similar to what you’re asking for although they won’t run half a shift in high mode.